Some useful tips on daily computer use and programming. Normal phone Bluetooth headset can be easily connected to a laptop and it can be used as earphone or headphone while using skype, gtalk, whatsapp or any other voice chat services or of course to listen to your favorite music. All you need to do is a Bluetooth device and the Bluetooth driver with A2DP(Advanced Audio Distribution Profile) profile. Here is the detailed procedure the setup Bluetooth device with your laptop. 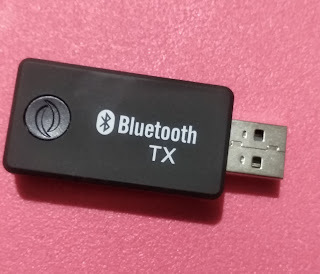 Download the A2DP Bluetooth driver from the link provided below. Extract the zip file 'Bluetooth A2DP Driver For Windows.zip'. Go inside the folder 'Bluetooth A2DP Driver For Windows', double-click on the installer file 'anycom-bluetooth-usb2x0-windowsxp-v2-1-0-4.exe'. Follow the onscreen instruction to complete the installation. Once the A2DP driver is installed successfully, Switch on the Bluetooth in the Laptop and Headset. Look for the Bluetooth device the list of available Bluetooth devices. If it is not visible yet, select Add Device, and add the Bluetooth device. Make sure that new Bluetooth is discoverable from other Bluetooth devices. During the installation of the new Bluetooth device, you can notice that additional profiles are installed. Adio profile, file sharing, Bluetooth telephony etc. Go to Device manager and select the new device added, select properties. Then select the tab 'services'. Headset profile should be visible and checked along with other services. Now, route the audio to your newly installed Bluetooth device. Click on the audio volume icon on the notification bar, which is present at the bottom right corner of your Laptop screen. Right-click and select playback device, a window will open up and hows all the available playback devices. If you have installed the driver software properly, you should see the newly installed Bluetooth device in the list. Select it and set as default playback device. Some of the below steps, you may have to try multiple times. Why some mobile phones does not support screen mirroring? Working as a software engineer, started blogging to share the information. My posts usually includes, tips and tricks on daily computer use, and how to series on MS Office.